Joining the engine range is a 105PS version of the two-cylinder TwinAir engine. Capacity remains the same at 0.9-litres, but peak power has been increased by 20PS. Acceleration from 0-62mph takes 10 seconds and the top speed is 117mph yet CO2 emissions are 99g/km with official economy of 67mpg. 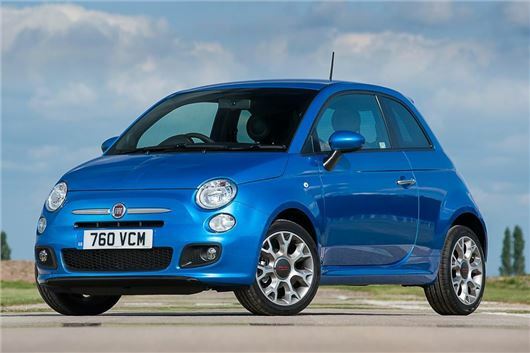 Finally, Fiat has added a new equipment grade – Cult. It sits at the top of the range and adds extra specification, including leather upholstery, chrome or gloss black exterior details and larger, 16-inch alloy wheels. Furthermore it gets the TFT instrument binnacle and is offered with the full range of engines. Prices for the Cult model start at £13,060. As before, Fiat offers a large range of optional extras across all trim levels, including chrome exterior details, decal kits, an upgraded audio system. Entry level models still miss out on some key pieces of equipment, however, including air conditioning - it's a £560 option on Pop variants.